There's something so striking about the ivory trim and fabric sash against the backdrop of this dress. The At An Angle Contrast Trim Dress is fully lined and made of a silky fabric. 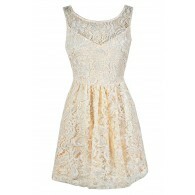 It has a rounded neckline trimmed in ivory. The elasticized waist gives way to the flowy attached skirt. The hemline of the skirt is trimmed in an ivory geometric banded pattern. An included ivory fabric sash wraps around the waist and can be tied into a bow. 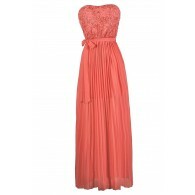 This is a cute dress in a classic shape that flatters many. The At An Angle Contrast Trim Dress would look cute paired with ivory pumps or wedges. Or you can try dressing it down with flat sandals and an oversized bag. Details: Fully lined. 70% silk, 30% polyester. Lining: 100% polyester. Hand wash cold water separately. Color will bleed. No bleach. Hang to dry. Small measurements: Length from top of shoulder to hemline: 36". Bust: 34". You have added At An Angle Contrast Trim Dress in Mint into Wishlist. 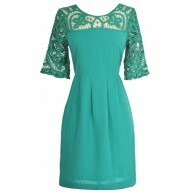 You have added At An Angle Contrast Trim Dress in Mint for Stock Notification. You have set At An Angle Contrast Trim Dress in Mint as a loved product. You have removed At An Angle Contrast Trim Dress in Mint as a loved product.